Alberta's United Conservative Party has invited Ontario Premier Doug Ford to Calgary for a "Scrap The Carbon Tax Rally." The UCP has posted an image on Twitter of its leader Jason Kenney and Ford both beaming at the camera with an arm around each other to promote the Oct. 5 event. Kenney, the leader of Alberta's Opposition, has promised to repeal the province's carbon tax if his party wins the 2019 spring election. He has also pledged to fight any attempt by Ottawa to impose a national price on carbon. Ford's new Progressive Conservative government is challenging the federal government's carbon pricing plan in court. 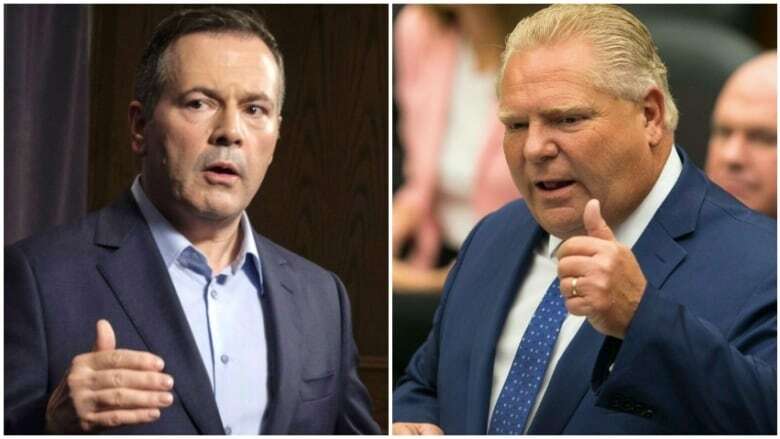 A United Conservative party official says both leaders will give speeches at the rally.